Dr. Anil Dhall, a renowned cardiologist is at present associated with the Sarvodaya Hospital and Research Center at Faridabad. An alumnus of the Armed Forces Medical College, Pune, he pursued his M.D from INHS Ashvini, Mumbai. Then, he went on to pursue DM in Cardiology from GB Pant Hospital, Delhi. Dr. Dhall had spent 25 years with the Indian Armed Forces before he opted for voluntary retirement. He has successfully established, set up and managed the Interventional Cardiology program and has also started the first Cardiac Catheterisation Laboratory of Army Hospital (Research & Referral), Delhi Cantonment. He has been awarded the Sena medal by the President of India and has been deputed with the United Nations Organisation. Dr. Dhall?s special interests include Carotid Angioplasty, Complex Coronary Interventions, Peripheral Interventions, Endovascular Aortic Aneurysm Repair, and Cardiac Resynchronisation Therapy. He has a professional membership with several bodies like American Heart Association, Vascular Society of India, Indian Heart Rhythm Society, Indian Academy of Echocardiography, Cardiological Society of India, Association of Physicians of India and many others. 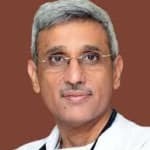 A successful cardiologist for the last 34 years, he has also taught and demonstrated various techniques related to his field in various parts of the world.